Credits: Papers by Crystal Wilkerson’s Room Collection series, Kaboks’ Christmas Treasure Papers; Photomask by Moninda. A tuk-tuk picked us up at the hotel and brought us to a VIP bus parked along the Mekong River bank opposite Wat Chanh temple. Before entering, we were asked to take off our shoes and were given a plastic bag to store them in the meantime. 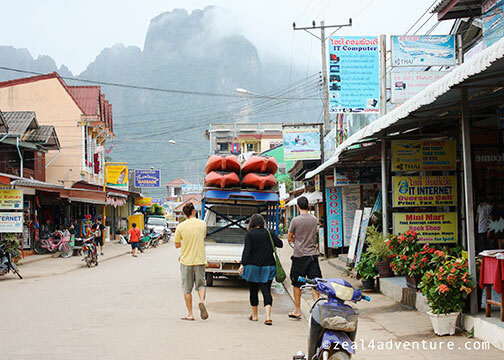 The bus, like most lodgings and households in Laos, is a no-shoes zone. Although lined with linoleum and seemingly clean enough, I felt strange and a bit grossed out walking barefooted. But with the current seating, er… bunking arrangement, it was better this way. The bus had double-decked bunk beds instead of seats. I reached the end and it was all taken. What’s going on? Were we on the wrong bus perhaps? It seemed like they were out of space, then I heard the conductor shout, “two in a bunk!” Are you kidding me? These are made for size 0 petites, not the likes of us. A couple occupying a bunk each gave one up and we thankfully took it. At first we didn’t know how to go about it until the couple figured it out. Facing each other, we sat uncomfortably for the next 4 hours. Two hours down, we stopped for lunch. 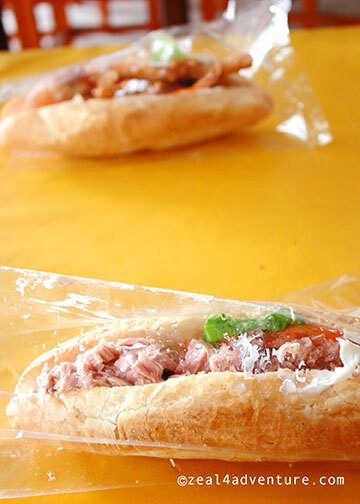 Choices of sandwiches similar to Vietnam’s Banh Mi was lunch for us. I had a simple but pretty good canned tuna with mayo on a baguette. After the purchase, we got onto a jeep provided by the bus company that brought us to town. 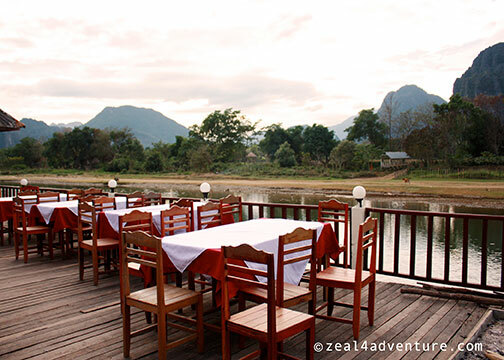 Vang Vieng is a small tourist-oriented town about 150km north of Vientiane in Vientiane Province. It has only 3 streets, a market, a bus station and a few temples. Before we even know it, we were on the main street in town. We could have actually walked to town. 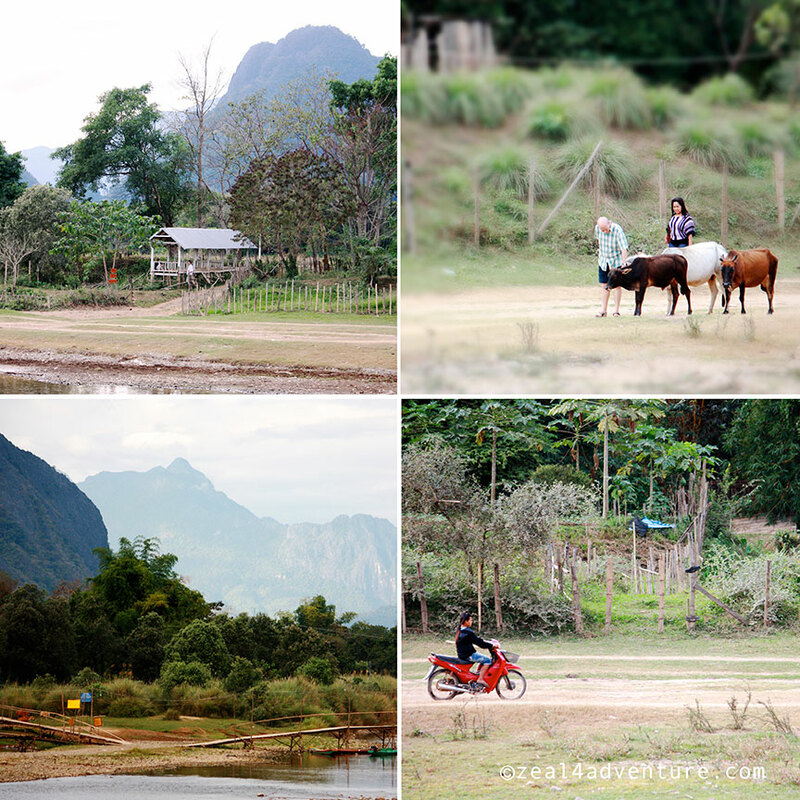 Small it may be but Vang Vieng is bursting with natural beauty. 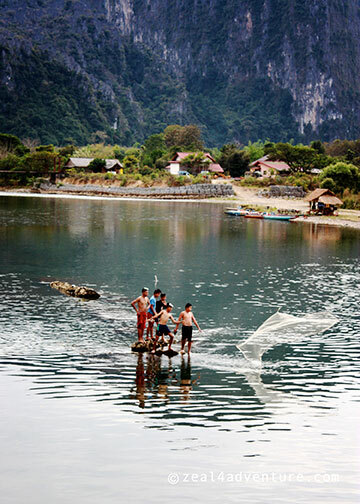 The small town is beside a river and a picturesque backdrop of limestone karst surrounds it. Mainly a backpacker’s hotspot until the mainstream travelers caught on a few years back. 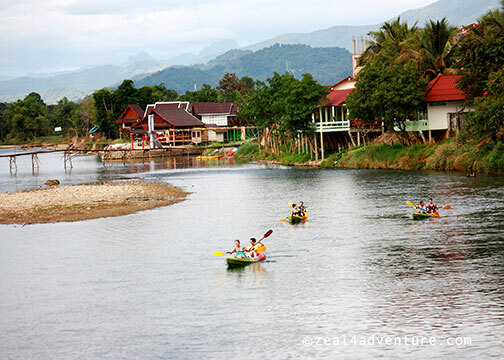 Many are breaking a 10-hour road trip to Luang Prabang here, staying a couple of days to explore its natural wonders. We had the same idea but didn’t have enough days to stay longer. Wish we had. 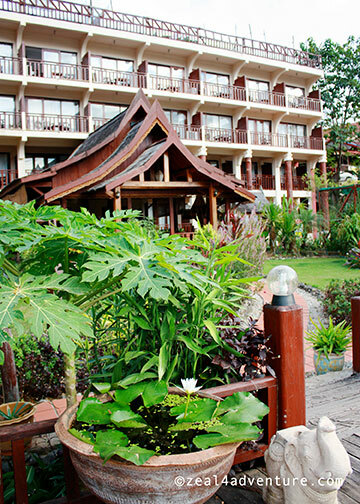 In a quieter part of the Namsong River, a fair distance down river from the bars famous with the backpackers is The Elephant Crossing Hotel. It is an easy walk from the main street even with backpacks in tow. 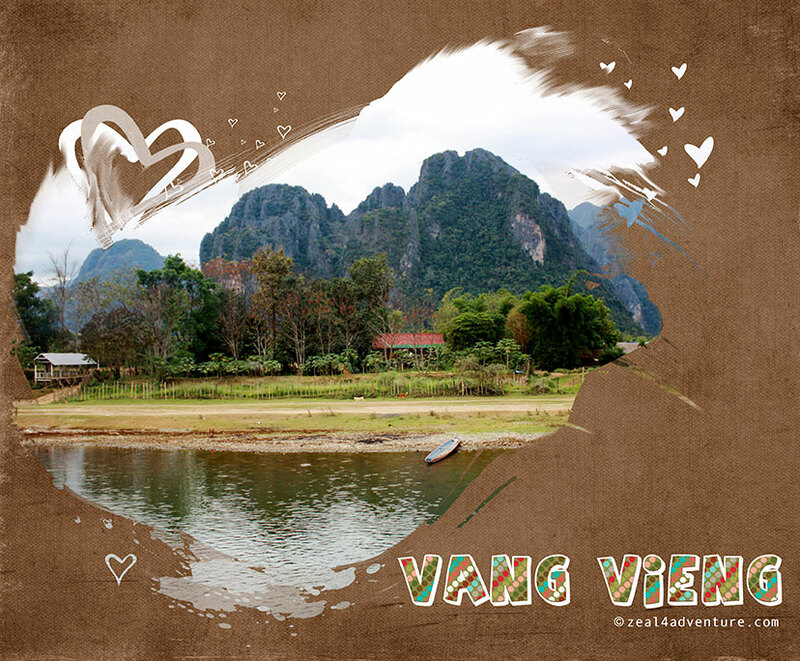 Because it situated on the banks of the Namsong River, the view was spectacular, but I guess anything along the riverbank would boast of the same breathtaking views. 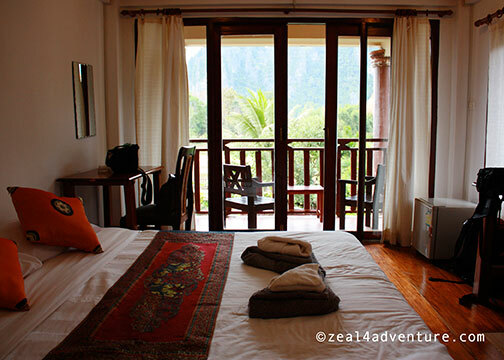 overlooking Vang Vieng’s famous majestic limestone mountains. 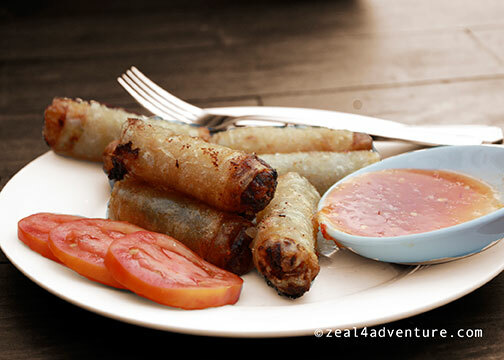 Their riverside restaurant was calling out to us, and there we whiled the time away with some spring rolls, a few bottles of beer and a lot of river actions. We could sit there and watch the day go by, truth to tell, if only we had more days to spare. the bus sitting arrangement is pretty unique. do they have this the entire country or in just this town? 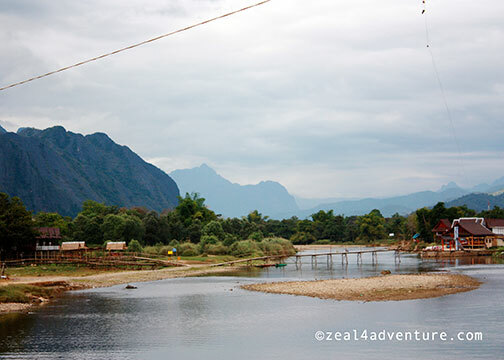 I was in Vang Vieng in 2009. It was so beautiful! I hope you stayed longer than we did. I would love to have spared another day to hike to the villages. We were only there for 1 or 2 days. 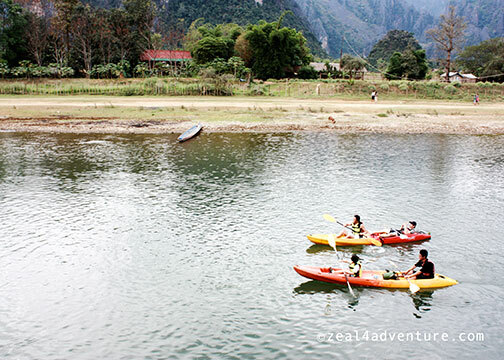 the views are beautiful, no wonder this is a tourist destination. What a great idea – to have a sleeper bus! Loved all these pics. The bunk in the bus looked so interesting but very uncomfortable to sit more than one in such a bunk. Thanks for sharing these interesting and useful travel information. My kind of natural beauty! Such a great place to take photos too! Great Pics ! Very interesting & Informative post!